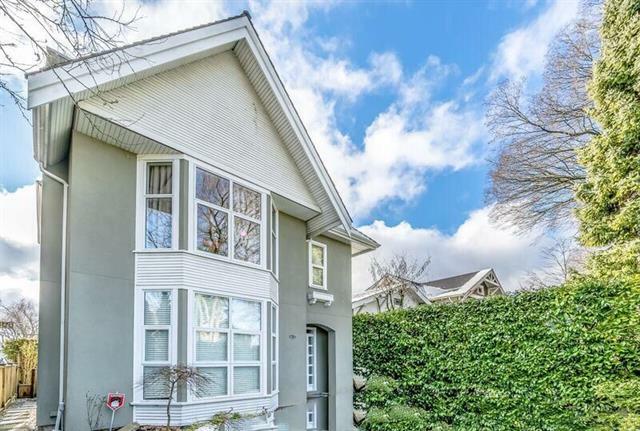 Located in the heart of the West Point Grey area which is one of the most expensive housing areas in Canada. This lovely warm house is at the quiet tree-line street, with south facing backyard. House was the piece of construction art work from C.A Development. The well maintained interior has open floor plan, high ceiling, over-size windows everywhere and huge living room and family room which brings a lot of light inside. There are three big size bedrooms on third floor and on top floor a den/recreation room with potential extend to an additional new room with view. The convenient location will allow walking distance to Lord Bin High and 10th street shops and Pacific Spirit park. Open House Saturday November 3th 2pm to 4pm.